The book was just okay, perhaps a bit overhyped I think. I'm not big on lyrical books or prose-style, so this wasn't my thing in general, but it did have a new take on shifters/wolves that's interesting. 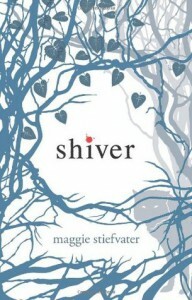 I didn't hate Shiver, but I never quite got why this particular book caught on over others in the genre that were better.What I didn't expect was to find that Linger, the second book, ended up being better than the first book because it had less filler, and an introduction of a new character (Cole) who I adored.